This is another look at the back yard and how it’s changed in just a month. It’s really greening up. 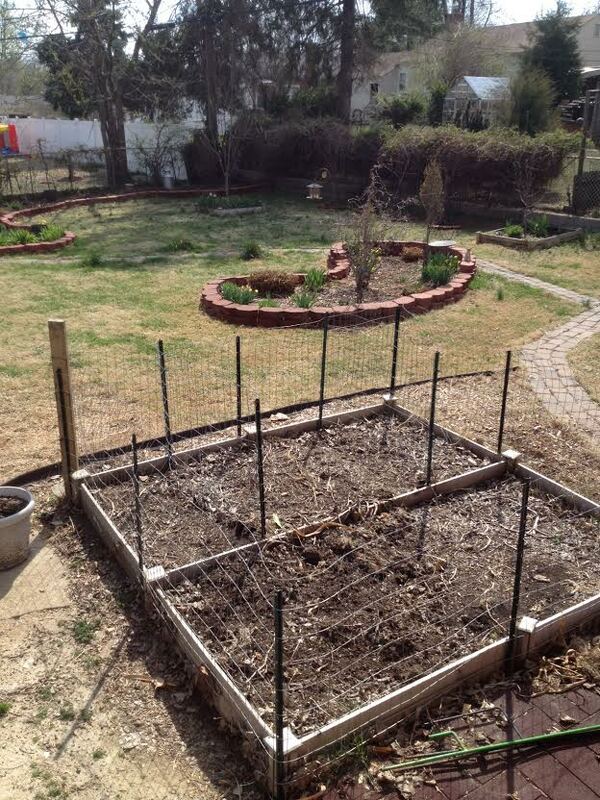 The bare vegetable garden in the front is still an eyesore, but it won’t be for long! We’re hoping to plant vegetables in early May.